SEATTLE — Chateau Ste. 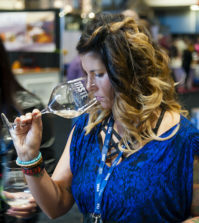 Michelle showcases the work of two virtuosos with its 2012 Artist Series Red Wine, and both were feted Monday night — winemaker Bob Bertheau and world-renowned glass blower Dale Chihuly. The flagship winery for Ste. 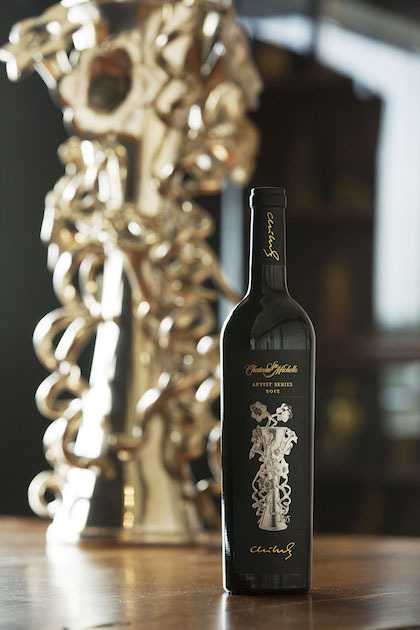 Michelle Wine Estates launched its Artist Series with the 1993 vintage, and 20 years later, it sought to toast the success of both its ageworthy Artist Series and the iconic Chihuly. To make the evening extra special, Chihuly played host to the celebration Monday evening at his marvelously eclectic and beautiful Chihuly Boathouse along Seattle’s Lake Union. The Meritage-style project features a different artist each year, and it’s proven to be a masterstroke of marketing by then-CEO Allen Shoup. 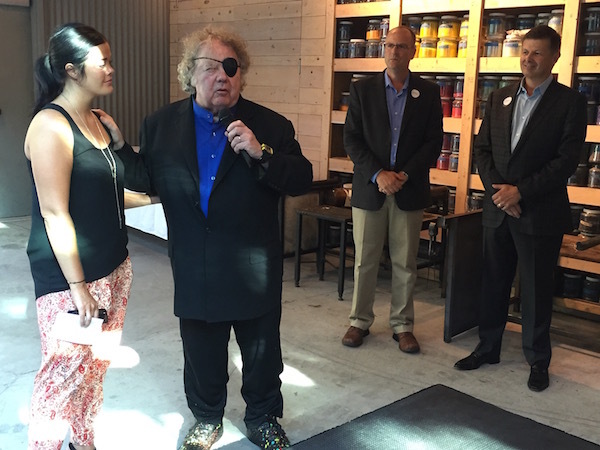 Chihuly, 73, made a brief appearance at the hotshop and studio he established beneath the Ship Canal Bridge and just a few blocks from his alma mater — the University of Washington. 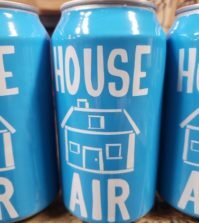 Bertheau, who playfully described himself as “the other guy with his name on the bottle,” pointed out this latest Artist Series coincided with what many have described as a special vintage for Washington. The wine already has received praise from critics, and the evening provided guests the opportunity to sample ageworthy bottlings of the 1997 Artist Series and 2007 Artist Series. 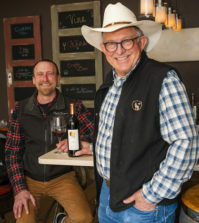 “It’s not about showing the power of Washington — and we have some wines that do that, but the vision of this wine is to be more like an artist and show complexity and nuance and layering of flavors within the context of Washington state fruit,” Bertheau said. Each year, Bertheau’s red wine team, headed by Raymon McKee, develops the Artist Series ahead of the rest of the Chateau Ste. Michelle portfolio. 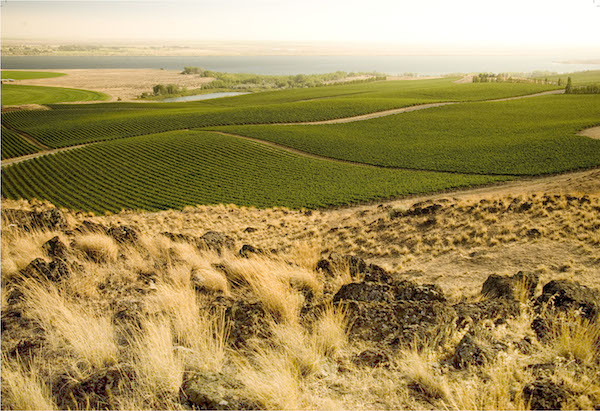 The 2012 Artist Series ($55) incorporates grapes from four sites — Canoe Ridge Estate (72 percent) in the Horse Heaven Hills, Cold Creek Vineyard (16 percent) across the Columbia River from the Wahluke Slope, Zephyr Ridge Vineyard (10 percent) in the Horse Heaven Hills and Indian Wells on the Wahluke Slope. In this 4,300-case bottling, Cabernet Sauvignon dominates with 70 percent, followed by Merlot at 26 percent. Bertheau referred to the use of Cabernet Franc (2 percent) and Malbec (2 percent) as “spice for a chef.” The barrel program of 69 percent new French oak for 22 months adds additional seasoning. 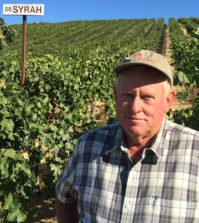 Bertheau, who grew up in Seattle before earning a chemistry degree at Boise State University and then a winemaking degree at University of California-Davis, said the 2012 vintage was viewed as a warm vintage at the time. Chateau Ste. Michelle will use the 20th anniversary to donate a scholarship to the Pilchuck Glass School, a program Chilhuly helped establish in the town of Stanwood for artists in residence. The school’s annual auction, staged in mid-October, features more than 250 works of glass by established and emerging glass artists from around the world. And while the Tacoma-born Chihuly looms as perhaps the Pacific Northwest’s most famous artist, Baseler shared a funny anecdote about an opportunity lost for an unwitting patron who was touring Chihuly Garden and Glass at Seattle Center. The long-term exhibition and museum in the shadow of the Space Needle served as the venue for the closing ceremonies of the 2013 Riesling Rendezvous. “Dale was taking us through the museum, showing us all this beautiful art, and while he was standing there, some tourist walks over and says, ‘Hey, buddy. Would you get out of the way? I’m trying to take a picture of this,’ ” Baseler said with a smile.